Sherri Lynn Parr-Powers died on December 1, 2018 at Baptist Integris Hospital in Oklahoma City, OK surrounded by her loved ones. Sherri started her adventurous life on March 16, 1961 when she was born to Lt. Col. (Ret.) Gary and Pat (Clark) Parr in Lawton, Oklahoma. Sherri always considered life an adventure. Her first adventure was being an “Army Brat” for the first eighteen years of her life. During this time, she lived in Texas, Oklahoma, Kansas, Bangkok, Thailand, Ramstein, Germany, and her favorite, Heidelberg, Germany. She graduated from Leavenworth High School in 1979. During her youth she participated in track and excelled in ballet. Sherri married in 1981 but moved back to Ponca City in 1994 to raise her children with support of her parents and church. After graduating from Oklahoma State University with a degree in Early Childhood Education, she taught kindergarten, first grade, second grade, and multi-age classes in several Ponca City elementary schools, retiring from Garfield elementary in 2014. Sherri’s greatest adventure was her family. It was also her greatest joy. With six children she was always busy encouraging and participating in all aspects of their school careers. She was always there to listen to the choir, watch the band, or cheer them on in their athletic endeavors. Sherri loved to travel and had the opportunity to visit several countries in Europe and traveled across the United States visiting family and friends several times. She was an avid OU fan and enjoyed going to the games with her mother. 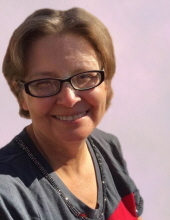 Sherri was a faithful member of the Church of Jesus Christ of Latter Day Saints where she wholeheartedly served and worshipped for many years. Sherri is survived by her mother Patricia Parr, her brother Stephen and wife Leanne Parr, her sister Pamela McGehee and husband David, her six children and seven grandchildren: Michael Powers and fiancée Lydia Smith, Stephanie and husband Derek Roberts and daughter Amelia Roberts, Patrick and wife Jaclyn Powers, Jonathan and wife Beth Powers, children Lily and Drew Powers, Christopher and wife Brooke Powers, and children Adeline, Brianna, and Caleb Powers, and Nicholas and wife Lindsey Powers and daughter Ellie Powers, nieces and nephews Annie McGehee, Richard McGehee, Matthew Parr, and Katherine Parr and many special cousins. She was preceded in death by her father, Gary Parr, her grandparents, Horace and Marie Clark, Hallene Parr, Keith Parr, her aunt JaniceCurtis, and uncle Robert Clark. A funeral ceremony for Sherri will be held on Thursday, December 6, 2018 at 2:00 pm at the Church of Jesus Christ of Latter Day Saints. Following the ceremony, she will be laid to rest at Resthaven Memorial Park. A family visitation will be held at Trout Funeral Home on Wednesday, December 5, 2018 from 6:00 pm to 8:00 pm. Casketbearers will be: Michael Powers, Patrick Powers, Jonathan Powers, Christopher Powers, Nicholas Powers, and Derek Roberts. Arrangements are under the direction of Trout Funeral Home & Crematory. To send flowers or a remembrance gift to the family of Sherri Parr-Powers, please visit our Tribute Store. "Email Address" would like to share the life celebration of Sherri Parr-Powers. Click on the "link" to go to share a favorite memory or leave a condolence message for the family.